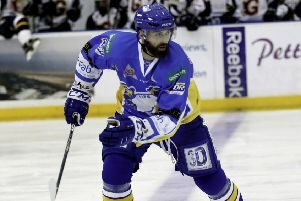 Fife Flyers will parade their new team at a strip launch later this month. Fans will get their first glimpse of the kit the team will wear – and who’ll be wearing it - at a special free event at Fife Ice Arena on Thursday, August 25. It takes place on the ice and then in the curling bar, starting at 7.30 p.m. The players, including new signings such as Kyle Follmer and former NHLer Ric Jackman, will be introduced one by one for an on-ice chat before they then join fans for a social meet and greet in the bar. Replicas of the home and away jerseys – and the new Challenge Cup tops – will be on sale on the night.